Clint Joiner (pediatrics) will serve as vice chair for research for the Department of Pediatrics. 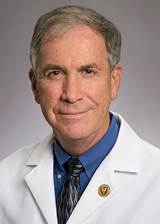 Joiner was recruited to Emory and Children’s in 2012 as director of the Hematology Program in the Division of Hematology/ Oncology, and as professor of pediatrics. Mehul Raval (surgery, pediatrics) has been named director for the Center for Clinical Outcomes Research and Public Health, with a focus on surgical outcomes. Raval is an assistant professor in the Division of Pediatric Surgery. Allan Levey (neurology) was named to the Advisory Council on Alzheimer's Research, Care, and Services, which advises the Health and Human Services Secretary on federal programs that affect people with Alzheimer’s disease and related dementias. Haian Fu (pharmacology) was named chair of the Department of Pharmacology. Fu joined the school in 1994 and is currently serving as professor of pharmacology and associate dean for innovation and international strategies. Fu follows Ray Dingledine, who will step down as chair but remain on our faculty after 25 years of outstanding service. Kathryn Glas(anesthesiology) is interim chair for the Department of Anesthesiology. Glas has been SOM faculty for 20 years, having stayed at Emory following completion of a fellowship in cardiac anesthesiology. Glas’s leadership team will include Matt Klopman, Julie Williamson, Raphael Gershon, and other key leaders. Carlos del Rio (infectious diseases) was co-leader of the Coursera course, Ebola Virus Disease: An Evolving Epidemic, that has reached more than 13,000 learners from 170 countries. Nowhere is taking care of yourself more important than in a school of medicine, where our focus is primarily on serving others—from faculty providing the highest level of clinical care, to researchers working to develop life-saving treatments, to students training for a career of caring for patients and families. But this level of service to others is not sustainable without an equal commitment to taking care of ourselves. Comprehensive efforts are under way across the Woodruff Health Sciences Center to look at the underlying causes of physician and staff burnout and develop new ways to address them. In the meantime, Healthy Emory provides resources to help you find a balance between your work and yourself—from tips to incorporate movement into your meetings to subsidized Fitbits to track your steps. I encourage you to read the Huddle email for easy access to these resources. 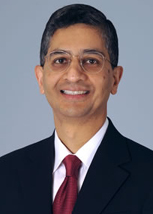 Emory has appointed Vikas P. Sukhatme, MD, ScD, a distinguished physician-scientist, as the new dean starting Nov. 1. 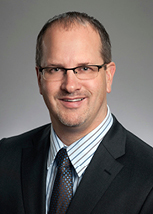 He also will serve as Chief Academic Officer of Emory Healthcare and as Woodruff Professor. Sukhatme is currently Chief Academic Officer and Harvard Faculty Dean for Academic Programs at Beth Israel Deaconess Medical Center in Boston and the Victor J. Aresty Professor of Medicine at Harvard Medical School. "Dr. Sukhatme is a highly recognized and exceptional biomedical scientist, clinician, and teacher," says Jon Lewin, EVP for Health Affairs and WHSC executive director. "I am confident that under his leadership, the medical school will continue its upward trajectory in reputation and impact and will further enhance the Woodruff Health Sciences Center's place as one of the world's premiere academic health centers." Sukhatme's appointment is the culmination of a nearly year-long national search. He succeeds David Stephens who has served as interim dean and will continue his roles as vice president for research in WHSC and as chair of the Department of Medicine. Read more. Emory was one of six institutions to be recognized by the AAMC for initiatives that enhance resource sharing or rigor and reproducibility in biomedical research. Emory Integrated Core Facilities, led by Michael Zwick, received third prize in the Sharing Research Resources Awards. The integrated core facilities continue to expand their service offerings, most recently with the opening of the stem cell core on Sept. 11, and additional plans under way for a gnotobiology core. The first annual meeting of Georgia Core Directors is being planned for Feb. 2. Learn more about the Emory Integrated Core Facilities. After a decade of research collaboration, the Atlanta Clinical & Translational Science Institute (ACTSI) will welcome a new partner and change its name, reflecting a new statewide focus. The University of Georgia will become the fourth academic partner, and ACTSI will now be known as the Georgia Clinical & Translational Science Alliance (Georgia CTSA). This statewide expansion will be funded through a five-year, $51 million Clinical and Translational Science Award (CTSA) from the NIH. The Emory-led Georgia CTSA will focus on transforming the quality and value of clinical research and translating research results into better outcomes for patients. Read more. The NIH has chosen Emory to join the All of Us Research Program, a national effort with more than 25 collaborating institutions charged with advancing research into precision medicine. 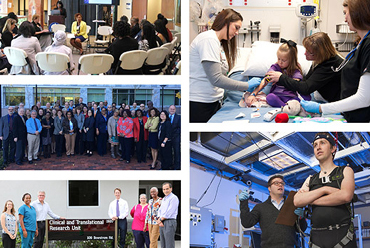 Emory is part of the SouthEast Enrollment Center (SEEC) network, which includes the University of Miami Miller School of Medicine, Morehouse School of Medicine, and the OneFlorida Clinical Research Consortium led by the University of Florida. 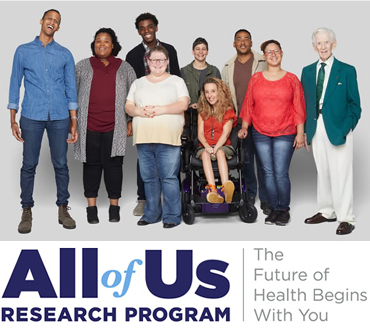 The All of Us Research Program aims to gather data over time from more than 1 million people in the United States, with the goal of accelerating research and improving health. Researchers will use the data for studies on a variety of health conditions to learn more about the impact of individual differences in lifestyle, environment, and biological makeup. Michael Zwick will lead Emory's participation in the SEEC network. The Emory team includes faculty members from the School of Medicine, including Arshed Quyyumi, Greg Martin, James Lah, and Andrew Post, in addition to Alvaro Alonso from the Rollins School of Public Health. "This program has the potential to speed the ongoing transformation of our health care systems, empower individuals to actively manage their health and health care, and promote critical research that can improve the lives and health of the people of Georgia," says Zwick.